Evolve Capital Partners monitors the global equity markets for new IPOs and key equity issuances across the nine sectors we cover. Our detailed IPO profiles describe the key drivers of valuations for companies listing in today’s markets (outside of going through an M&A event). This valuable information benefits everyone from a private equity investor up through corporate management by creating an understanding of how pricing impacts a company when it goes public or lists shares. As the market for FInTech companies matures, we anticipate continued interest from global equity investors. Our coverage includes the “blue chip” issuances through strong localized players in niche markets. Our key IPOs are presented by year and issuer. Avalara provides a cloud-based tax management platform that addresses the complexity of transaction tax compliance. The subscription-based service processes real-time transactions and produces detailed records of transaction tax determinations that help businesses reduce their tax processing errors, audit exposure, and transaction tax compliance costs. Adyen enables businesses to process payments online with over 250 payment methods and in 187 transaction currencies. The company’s technology improves the shopper experience and simplifies the global management of payments across sales channels and geographies. The platform also supports “unified commerce” for merchants across online, mobile and POS channels. EVO is a global merchant acquirer and payment processor that services approximately 525,000 merchants and processes more than 2 billion transactions annually. It can serve 50 markets around the world through three proprietary, in-market processing platforms that are connected by a single point of integration. GreenSky, Inc. is a financing and payments technology company offering a platform for businesses to offer flexible credit programs to their customers that facilitates an increase in sales volume for merchants and a more diversified portfolio of high-quality consumer loans for partner banks. DocuSign is an electronic signature software company. It automates the documentation process when businesses sign agreements, make approvals, and enter into transactions. The company makes the documentation process both virtual and secure through its cloud-based platform. Smartsheet is a cloud-based platform that enables organizations to manage work in real-time, automate workflows, and deploy new processes. The platform works seamlessly with enterprise tools and apps so businesses can focus on the work that matters most. 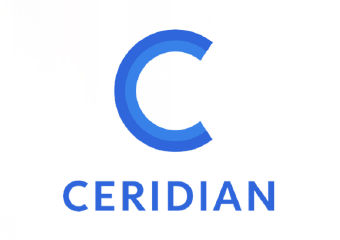 Ceridian HCM Holding Inc. provides a suite of human capital management software to businesses worldwide. The company’s cloud-based applications enable businesses to manage employee lifecycle, improve employee engagement, optimize their workforce, and increase revenue. Zuora is a SaaS-based software company that licenses its Enterprise Resource Planning (ERP) software platform, Zuora Central, to subscription businesses and automates their order-to-cash operations in real time. Cardlytics makes marketing more relevant and measurable through their purchase intelligence platform. The company uses purchase data from more than 2,000 financial institutions and applies advanced analytics to it, thereby making it actionable and helping marketers identify, reach and influence likely buyers at scale. This information allows merchants to measure the actual sales impact of their marketing spend. IntegraFin’s leading open architecture platform, Transact, is used by UK-based financial advisors and their clients. Transact enables advisors to consolidate investments using tax efficient wrappers and gives them a wider range of investment choices for their clients. PagSeguro develops and provides payment processing, point-of-sale (POS), financial, and analytics services to micro-merchants, small, and medium-sized companies in Brazil. PagSeguro’s end-to-end ecosystem enables its merchant customers to accept payments digitally and also to grow and manage their businesses using the PagSeguro free digital accounts. LexinFintech Holdings is a leading online consumer finance platform in China. Through their online platforms Fenqile and Juzi Licai, the company offers young, educated adults in China innovative and convenient loan products to fund their credit needs at different stages of their lives. The company also operates an e-commerce channel for home appliances, fashion accessories, home furnishings and decor, apparel, leisure travel and continuing education. CURO Group provides consumer finance to a range of underbanked consumers in the United States, Canada, and the United Kingdom. It offers unsecured installment loans, secured installment loans, open-end loans, and single-pay loans, as well as ancillary financial products, including check cashing, proprietary reloadable prepaid debit cards, credit protection insurance, gold buying, retail installment sales, and money transfer services. Boku is the world’s leading independent direct carrier billing company. The company’s technology enables mobile phone users to buy goods and services and charge them to their phone bill or pre-paid balances. Boku’s platform connects merchant clients with billing, identity and sales systems of mobile network operations. The company’s technology makes a consumer’s mobile phone number into a convenient and secure payment method that can be used as an alternative to credit and debit cards. Netwealth Group Limited provides superannuation and non-superannuation platform products to financial intermediaries and clients who offer portfolio administration and investment management tools, as well as investment and managed account solutions. The company’s platform enables financial intermediaries and clients to acquire, hold, and administer a range of investments, including domestic and international securities, managed funds, cash, and term deposits. The platform also offers detailed reporting services to monitor the financial position and performance of investments. PPDAI is the first online consumer finance marketplace in China that connects borrowers and investors whose needs are unserved or underserved by traditional financial institutions. Its online platform, empowered by proprietary, cutting-edge technologies, features a highly automated loan transaction process, which enables a superior user experience. PT M Cash Integrasi Tbk is engaged in the distribution of digital and e-commerce products. The company manufactures kiosks, which are used for issuing various types of physical cards, including mobile SIM and e-money. Kiosks are also used for top up telephone pulses and regular bill payments, enabling both consumers and corporations to switch to a digital form of transaction. Qudian Inc. operates online consumer finance platforms by using big data-enabled technologies, such as artificial intelligence and machine learning, to transform the consumer finance experience in China. It offers online credit products such as small cash and merchandise credit products. ZhongAn Online P&C Insurance Co.,Ltd., an insuretech company offers property and casualty insurance products covering accident, bond, health, liability, credit, cargo, household property insurance, and shipping return policy insurance. It also engages in technology development and consulting activities in China. China Internet Nationwide Financial Services Inc. provides financial advisory services to small-to-medium sized enterprises in China. The company, through its subsidiaries, offers commercial payment, international corporate financing, and intermediary bank loan advisory services, as well as entrusted/direct loans. It also provides value-added Internet information services. Redfin Corporation is an online real estate company that operates a real estate marketplace and assists buyers and sellers of residential properties. The company also originates mortgages and provides title and settlement services. Alfa Financial Software (formerly CHP Consulting) is the developer of Alfa Systems, a software platform for enterprises in the finance industry that enables customers to automate critical business functions and enhance business agility. The platform can be used across the entire asset finance life cycle, from proposal to end of lease, across many asset types and financing structures. Appian Corporation, a Business Process Management technology company, provides a low-code software development platform that enables organizations to develop unique applications and streamline business processes. Real Matters, Inc. operates a property valuation, collateral risk management, and data analytics software platform in North America. The company’s platform ‘Redihive’ delivers an integrated suite of capabilities for property valuation, collateral risk management, and data analytics to customers. China Rapid Finance is a leading consumer lending platform for borrowers and investors, providing borrowers accessible and affordable credit and investors risk-adjusted returns. Its market principally includes prime and near prime Emerging Middle-Class Mobile Active consumers (EMMAs). Cloudera, Inc. operates a data management, machine learning, and analytics software platform in the United States, Europe, and Asia. The company’s platform delivers an integrated suite of capabilities for data management, machine learning, and analytics to customers. Elevate Credit, Inc. designs and provides online credit solutions to non-prime consumers in the United States and the United Kingdom. The company offers unsecured online installment loans and lines of credit. Its products include Rise and Sunny installment loan products and Elastic, an open-end line of credit. Alteryx, Inc. is a leading provider of a self-service data analytics software platform that enables organizations to enhance business outcomes and the productivity of their business analysts. The company serves organizations of all sizes across a wide variety of industries in more than 50 countries. Conduent Incorporated provides transaction-intensive processing, analytics, and automation business process services globally. It serves three sectors: Commercial Industries, Healthcare, and Public Sector. BlackLine, Inc. provides a cloud-based software platform that is designed to automate and streamline accounting and finance operations. The platform supports critical accounting processes, such as account reconciliation, intercompany accounting, and controls assurance. iRhythm Technologies is a digital healthcare company that provides electrocardiogram (ECG) monitoring products for patients who are at risk of arrhythmias (irregular heartbeats). The company combines wearable biosensing technology with cloud-based data analytics and machine-learning capabilities to detect irregular heartbeats. Coupa is a cloud-based spend optimization software company. It is the leading provider of disruptive and innovative cloud spend management (CSM) solutions that help companies control and gain visibility into their indirect spending while generating savings that go directly to the bottom line. Everbridge, a global software company, provides critical communications and enterprise safety applications, enabling its users to automate and accelerate the process of keeping people safe and keeping businesses running during critical events. Talend S.A. is a provider of big data integration software. The Company (Talend S.A.) provides a scalable data, application and business-process integration platform. It connects data and applications ranging from on-premise to cloud systems, from Hadoop to NoSQL and sensors. CommerceHub, Inc. is a cloud-based e-commerce fulfilment and marketing software platform of integrated supply, demand and delivery solutions for large retailers, online marketplaces and digital marketing channels, as well as consumer brands, manufacturers, and distributors. NantHealth is an evidence-based, personalized healthcare company enabling improved patient outcomes and more effective treatment decisions for critical illnesses. It is engaged in converging science and technology through a single integrated clinical platform to provide actionable health Information at the point of care for critical illness. Cotiviti Holdings provides analytics-driven payment accuracy solutions, focused primarily on the healthcare sector. The company was formed in May 2014 through the merger of Connolly Superholdings and iHealth Technologies. Cotiviti predominantly serves healthcare organizations and retailers in the US, UK, and Canada. Blue Prism is a global leader in Robotic Process Automation (RPA). The company supplies a Virtual Workforce that is powered by software robots and trained to automate routine rules-based clerical back-office processes. By automating manual administrative processes, the company’s enterprise-grade software enables clients to create a more agile, cost effective and accurate back-office. Square, Inc. develops and provides payment processing, point-of-sale (POS), financial, and marketing services worldwide. The company also offers magnetic stripe readers, contactless and chip readers, and chip card readers. Other services include Square POS, Square Payroll, Square Dashboard, Square Cash, Square Capital and Caviar Food Delivery. First Data Corporation provides a complete array of global electronic commerce integrated solutions for merchants, financial institutions, and card issuers worldwide. Cerved Information Solutions SPA is one of the largest credit rating agencies, credit information providers, and credit management solutions providers in Europe. Businesses and financial institutions use Cerved’s services to assess the solvency and credit ratings of their business partners, monitor and manage credit risk across phases, and define their marketing strategies. For more information or to be added to one of our distribution lists please contact us via the form below.